Display is a driving force in the art world, controlling access to objects. In some cases, objects only become works of art by virtue of being displayed. Ritual or utilitarian objects — such as a fetish or an ancient drinking cup — become art (or like art) when presented in a gallery. Display is the raison d’être of the modern museum, and the study of museums and their history will be of interest during this scholar year, as will the relationship of display to conservation and interpretation. Aspects of display related to antiquity will be a special focus, from the description of an ancient gallery by Philostratus to the spatial and lighting conditions of antiquities to broader conceptions of display, such as the ways in which ancient ruins serve to display a distant past. The Special Collections of the Research Library at the Getty Research Institute are rich in materials bearing upon the display of art. 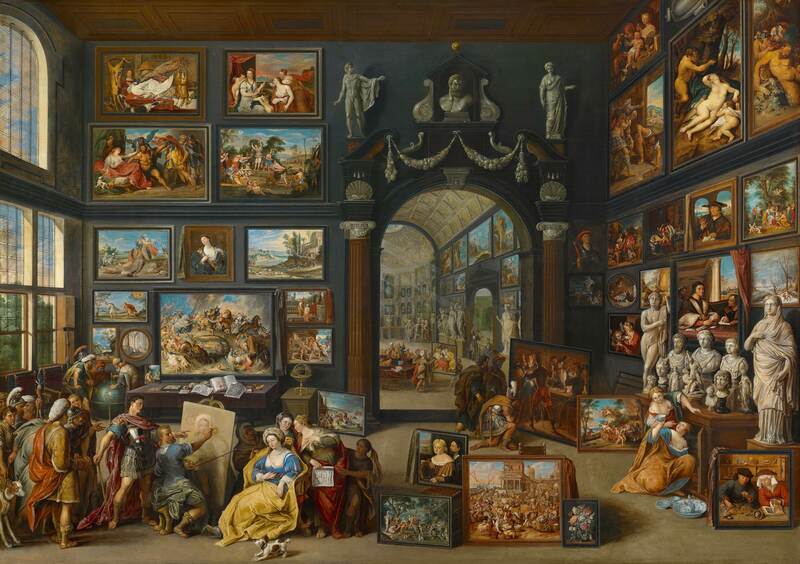 In gallery and dealer archives the researcher can find Joseph Duveen being asked to find an early Italian panel painting that will suit the collectors decor, Clement Greenberg decribing his ideal gallery space, and Giuseppe Panza deliberating about how to make his private collection accessible to the public in renovated villas and factories. Or perhaps the researcher is interested in early prints of Wunderkammern, the correspondence of Wilhelm von Bode about display practices in the German Empire, documentation of World Fairs, Josef Breitenbachs photographs of surrealist exhibitions, or rare materials on museum architecture, from early nineteenth-century studies on typology to the designs of Zaha Hadid. Beyond the wealth of such diverse archival materials, the presence of the J. Paul Getty Museum, the Getty Villa, and the Getty Conservation Institute provides unparalleled opportunities for scholars in residence to benefit from the expertise of Getty staff who are actively engaged in the theories and practices of display. The Getty Research Institute seeks applications from researchers who are interested in questions bearing upon the display of art and wish to be in residence at the Getty Reserach Institute or Getty Villa during the 2009/2010 academic year. Getty Scholar and Visiting Scholar Grants provide a unique research experience. Recipients are in residence at the Getty Research Institute where they pursue their own projects free from academic obligations, make use of Getty collections, join their colleagues in a weekly meeting devoted to the 2009-10 theme of The Display of Art and participate in the intellectual life of the Getty. Read a complete description of the 2009-2010 theme, The Display of Art. These grants are for established scholars, artists, or writers who have attained distinction in their fields. Applications are welcome from researchers of all nationalities who are working in the arts, humanities, or social sciences. Completed application materials must be received in the Getty Foundation office on or before November 1, 2008. We regret that incomplete applications, or late applications (those received after November 1, 2008, regardless of their postmark date or place of origin), cannot be accepted for consideration. Unfortunately, we cannot accept applications hand-delivered to the Getty Center or those sent by e-mail or fax. Application material cannot be returned. Applicants will be notified of the Research Institute’s decision by spring 2009. Application forms for Getty Scholar and Visiting Scholar Grants are available for viewing and printing in Portable Document Format (PDF) or by contacting the address below. Please note: you may also complete the PDF form below using Adobe®Acrobat®Reader, but you will not be able to save your content. You should complete and print the document before exiting. Click on the link below to view and print the application form in PDF.